Liczba stron: 153 Jest to ujednolicona liczba stron, która ułatwi Ci porównanie długości książek. Każda strona Legimi to 200 słów. 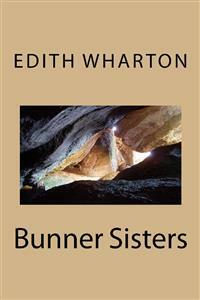 The Bunner Sisters were proud of the neatness of their shop and content with its humble prosperity. It was not what they had once imagined it would be, but though it presented but a shrunken image of their earlier ambitions it enabled them to pay their rent and keep themselves alive and out of debt; and it was long since their hopes had soared higher. In the days when New York's traffic moved at the pace of the drooping horse-car, when society applauded Christine Nilsson at the Academy of Music and basked in the sunsets of the Hudson River School on the walls of the National Academy of Design, an inconspicuous shop with a single show-window was intimately and favourably known to the feminine population of the quarter bordering on Stuyvesant Square. It was a very small shop, in a shabby basement, in a side- street already doomed to decline; and from the miscellaneous display behind the window-pane, and the brevity of the sign surmounting it (merely "Bunner Sisters" in blotchy gold on a black ground) it would have been difficult for the uninitiated to guess the precise nature of the business carried on within. But that was of little consequence, since its fame was so purely local that the customers on whom its existence depended were almost congenitally aware of the exact range of "goods" to be found at Bunner Sisters'. The house of which Bunner Sisters had annexed the basement was a private dwelling with a brick front, green shutters on weak hinges, and a dress-maker's sign in the window above the shop. On each side of its modest three stories stood higher buildings, with fronts of brown stone, cracked and blistered, cast-iron balconies and cat-haunted grass-patches behind twisted railings. These houses too had once been private, but now a cheap lunchroom filled the basement of one, while the other announced itself, above the knotty wistaria that clasped its central balcony, as the Mendoza Family Hotel. It was obvious from the chronic cluster of refuse- barrels at its area-gate and the blurred surface of its curtainless windows, that the families frequenting the Mendoza Hotel were not exacting in their tastes; though they doubtless indulged in as much fastidiousness as they could afford to pay for, and rather more than their landlord thought they had a right to express. These three houses fairly exemplified the general character of the street, which, as it stretched eastward, rapidly fell from shabbiness to squalor, with an increasing frequency of projecting sign-boards, and of swinging doors that softly shut or opened at the touch of red-nosed men and pale little girls with broken jugs. The middle of the street was full of irregular depressions, well adapted to retain the long swirls of dust and straw and twisted paper that the wind drove up and down its sad untended length; and toward the end of the day, when traffic had been active, the fissured pavement formed a mosaic of coloured hand-bills, lids of tomato-cans, old shoes, cigar-stumps and banana skins, cemented together by a layer of mud, or veiled in a powdering of dust, as the state of the weather determined. The sole refuge offered from the contemplation of this depressing waste was the sight of the Bunner Sisters' window. Its panes were always well-washed, and though their display of artificial flowers, bands of scalloped flannel, wire hat-frames, and jars of home-made preserves, had the undefinable greyish tinge of objects long preserved in the show-case of a museum, the window revealed a background of orderly counters and white-washed walls in pleasant contrast to the adjoining dinginess. Now and then, however, among their greyer hours there came one not bright enough to be called sunny, but rather of the silvery twilight hue which sometimes ends a day of storm. It was such an hour that Ann Eliza, the elder of the firm, was soberly enjoying as she sat one January evening in the back room which served as bedroom, kitchen and parlour to herself and her sister Evelina. In the shop the blinds had been drawn down, the counters cleared and the wares in the window lightly covered with an old sheet; but the shop-door remained unlocked till Evelina, who had taken a parcel to the dyer's, should come back. In the back room a kettle bubbled on the stove, and Ann Eliza had laid a cloth over one end of the centre table, and placed near the green-shaded sewing lamp two tea-cups, two plates, a sugar-bowl and a piece of pie. The rest of the room remained in a greenish shadow which discreetly veiled the outline of an old-fashioned mahogany bedstead surmounted by a chromo of a young lady in a night-gown who clung with eloquently-rolling eyes to a crag described in illuminated letters as the Rock of Ages; and against the unshaded windows two rocking-chairs and a sewing-machine were silhouetted on the dusk. Ann Eliza, her small and habitually anxious face smoothed to unusual serenity, and the streaks of pale hair on her veined temples shining glossily beneath the lamp, had seated herself at the table, and was tying up, with her usual fumbling deliberation, a knobby object wrapped in paper. Now and then, as she struggled with the string, which was too short, she fancied she heard the click of the shop-door, and paused to listen for her sister; then, as no one came, she straightened her spectacles and entered into renewed conflict with the parcel. In honour of some event of obvious importance, she had put on her double-dyed and triple- turned black silk. Age, while bestowing on this garment a patine worthy of a Renaissance bronze, had deprived it of whatever curves the wearer's pre-Raphaelite figure had once been able to impress on it; but this stiffness of outline gave it an air of sacerdotal state which seemed to emphasize the importance of the occasion. Seen thus, in her sacramental black silk, a wisp of lace turned over the collar and fastened by a mosaic brooch, and her face smoothed into harmony with her apparel, Ann Eliza looked ten years younger than behind the counter, in the heat and burden of the day. It would have been as difficult to guess her approximate age as that of the black silk, for she had the same worn and glossy aspect as her dress; but a faint tinge of pink still lingered on her cheek-bones, like the reflection of sunset which sometimes colours the west long after the day is over. When she had tied the parcel to her satisfaction, and laid it with furtive accuracy just opposite her sister's plate, she sat down, with an air of obviously-assumed indifference, in one of the rocking-chairs near the window; and a moment later the shop-door opened and Evelina entered. The younger Bunner sister, who was a little taller than her elder, had a more pronounced nose, but a weaker slope of mouth and chin. She still permitted herself the frivolity of waving her pale hair, and its tight little ridges, stiff as the tresses of an Assyrian statue, were flattened under a dotted veil which ended at the tip of her cold-reddened nose. In her scant jacket and skirt of black cashmere she looked singularly nipped and faded; but it seemed possible that under happier conditions she might still warm into relative youth. "Why, Ann Eliza," she exclaimed, in a thin voice pitched to chronic fretfulness, "what in the world you got your best silk on for?" Ann Eliza had risen with a blush that made her steel-browed spectacles incongruous. "Why, Evelina, why shouldn't I, I sh'ld like to know? Ain't it your birthday, dear?" She put out her arms with the awkwardness of habitually repressed emotion. Evelina, without seeming to notice the gesture, threw back the jacket from her narrow shoulders. "Oh, pshaw," she said, less peevishly. "I guess we'd better give up birthdays. Much as we can do to keep Christmas nowadays." "You hadn't oughter say that, Evelina. We ain't so badly off as all that. I guess you're cold and tired. Set down while I take the kettle off: it's right on the boil." She pushed Evelina toward the table, keeping a sideward eye on her sister's listless movements, while her own hands were busy with the kettle. A moment later came the exclamation for which she waited. "Why, Ann Eliza!" Evelina stood transfixed by the sight of the parcel beside her plate. Ann Eliza, tremulously engaged in filling the teapot, lifted a look of hypocritical surprise. The younger sister had rapidly untied the string, and drawn from its wrappings a round nickel clock of the kind to be bought for a dollar-seventy-five. "Oh, Ann Eliza, how could you?" She set the clock down, and the sisters exchanged agitated glances across the table. "Well, and ain't you had to run round the corner to the Square every morning, rain or shine, to see what time it was, ever since we had to sell mother's watch last July? Ain't you, Evelina?" "There ain't any buts. We've always wanted a clock and now we've got one: that's all there is about it. Ain't she a beauty, Evelina?" Ann Eliza, putting back the kettle on the stove, leaned over her sister's shoulder to pass an approving hand over the circular rim of the clock. "Hear how loud she ticks. I was afraid you'd hear her soon as you come in." "Well, ain't you glad now?" Ann Eliza gently reproached her. The rebuke had no acerbity, for she knew that Evelina's seeming indifference was alive with unexpressed scruples. "I'm real glad, sister; but you hadn't oughter. We could have got on well enough without." "Evelina Bunner, just you sit down to your tea. I guess I know what I'd oughter and what I'd hadn't oughter just as well as you do--I'm old enough!" "You're real good, Ann Eliza; but I know you've given up something you needed to get me this clock." "What do I need, I'd like to know? Ain't I got a best black silk?" the elder sister said with a laugh full of nervous pleasure. She poured out Evelina's tea, adding some condensed milk from the jug, and cutting for her the largest slice of pie; then she drew up her own chair to the table. The two women ate in silence for a few moments before Evelina began to speak again. "The clock is perfectly lovely and I don't say it ain't a comfort to have it; but I hate to think what it must have cost you." "No, it didn't, neither," Ann Eliza retorted. "I got it dirt cheap, if you want to know. And I paid for it out of a little extra work I did the other night on the machine for Mrs. Hawkins." "There, I knew it! You swore to me you'd buy a new pair of shoes with that money." "Well, and s'posin' I didn't want 'em--what then? I've patched up the old ones as good as new--and I do declare, Evelina Bunner, if you ask me another question you'll go and spoil all my pleasure." They continued to eat without farther words. Evelina yielded to her sister's entreaty that she should finish the pie, and poured out a second cup of tea, into which she put the last lump of sugar; and between them, on the table, the clock kept up its sociable tick. "Where'd you s'pose? Why, right round here, over acrost the Square, in the queerest little store you ever laid eyes on. I saw it in the window as I was passing, and I stepped right in and asked how much it was, and the store-keeper he was real pleasant about it. He was just the nicest man. I guess he's a German. I told him I couldn't give much, and he said, well, he knew what hard times was too. His name's Ramy--Herman Ramy: I saw it written up over the store. And he told me he used to work at Tiff'ny's, oh, for years, in the clock-department, and three years ago he took sick with some kinder fever, and lost his place, and when he got well they'd engaged somebody else and didn't want him, and so he started this little store by himself. I guess he's real smart, and he spoke quite like an educated man--but he looks sick." Evelina was listening with absorbed attention. In the narrow lives of the two sisters such an episode was not to be under-rated. "Well, I couldn't exactly tell you, he looked so sick--but I don't b'lieve he's much over forty." By this time the plates had been cleared and the teapot emptied, and the two sisters rose from the table. Ann Eliza, tying an apron over her black silk, carefully removed all traces of the meal; then, after washing the cups and plates, and putting them away in a cupboard, she drew her rocking-chair to the lamp and sat down to a heap of mending. Evelina, meanwhile, had been roaming about the room in search of an abiding-place for the clock. A rosewood what-not with ornamental fret-work hung on the wall beside the devout young lady in dishabille, and after much weighing of alternatives the sisters decided to dethrone a broken china vase filled with dried grasses which had long stood on the top shelf, and to put the clock in its place; the vase, after farther consideration, being relegated to a small table covered with blue and white beadwork, which held a Bible and prayer-book, and an illustrated copy of Longfellow's poems given as a school-prize to their father. This change having been made, and the effect studied from every angle of the room, Evelina languidly put her pinking-machine on the table, and sat down to the monotonous work of pinking a heap of black silk flounces. The strips of stuff slid slowly to the floor at her side, and the clock, from its commanding altitude, kept time with the dispiriting click of the instrument under her fingers. The purchase of Evelina's clock had been a more important event in the life of Ann Eliza Bunner than her younger sister could divine. In the first place, there had been the demoralizing satisfaction of finding herself in possession of a sum of money which she need not put into the common fund, but could spend as she chose, without consulting Evelina, and then the excitement of her stealthy trips abroad, undertaken on the rare occasions when she could trump up a pretext for leaving the shop; since, as a rule, it was Evelina who took the bundles to the dyer's, and delivered the purchases of those among their customers who were too genteel to be seen carrying home a bonnet or a bundle of pinking--so that, had it not been for the excuse of having to see Mrs. Hawkins's teething baby, Ann Eliza would hardly have known what motive to allege for deserting her usual seat behind the counter. The infrequency of her walks made them the chief events of her life. The mere act of going out from the monastic quiet of the shop into the tumult of the streets filled her with a subdued excitement which grew too intense for pleasure as she was swallowed by the engulfing roar of Broadway or Third Avenue, and began to do timid battle with their incessant cross-currents of humanity. After a glance or two into the great show-windows she usually allowed herself to be swept back into the shelter of a side-street, and finally regained her own roof in a state of breathless bewilderment and fatigue; but gradually, as her nerves were soothed by the familiar quiet of the little shop, and the click of Evelina's pinking-machine, certain sights and sounds would detach themselves from the torrent along which she had been swept, and she would devote the rest of the day to a mental reconstruction of the different episodes of her walk, till finally it took shape in her thought as a consecutive and highly-coloured experience, from which, for weeks afterwards, she would detach some fragmentary recollection in the course of her long dialogues with her sister. But when, to the unwonted excitement of going out, was added the intenser interest of looking for a present for Evelina, Ann Eliza's agitation, sharpened by concealment, actually preyed upon her rest; and it was not till the present had been given, and she had unbosomed herself of the experiences connected with its purchase, that she could look back with anything like composure to that stirring moment of her life. From that day forward, however, she began to take a certain tranquil pleasure in thinking of Mr. Ramy's small shop, not unlike her own in its countrified obscurity, though the layer of dust which covered its counter and shelves made the comparison only superficially acceptable. Still, she did not judge the state of the shop severely, for Mr. Ramy had told her that he was alone in the world, and lone men, she was aware, did not know how to deal with dust. It gave her a good deal of occupation to wonder why he had never married, or if, on the other hand, he were a widower, and had lost all his dear little children; and she scarcely knew which alternative seemed to make him the more interesting. In either case, his life was assuredly a sad one; and she passed many hours in speculating on the manner in which he probably spent his evenings. She knew he lived at the back of his shop, for she had caught, on entering, a glimpse of a dingy room with a tumbled bed; and the pervading smell of cold fry suggested that he probably did his own cooking. She wondered if he did not often make his tea with water that had not boiled, and asked herself, almost jealously, who looked after the shop while he went to market. Then it occurred to her as likely that he bought his provisions at the same market as Evelina; and she was fascinated by the thought that he and her sister might constantly be meeting in total unconsciousness of the link between them. Whenever she reached this stage in her reflexions she lifted a furtive glance to the clock, whose loud staccato tick was becoming a part of her inmost being.